This course offers a unique chance to learn how to use the Tarot for personal development and professional therapy. 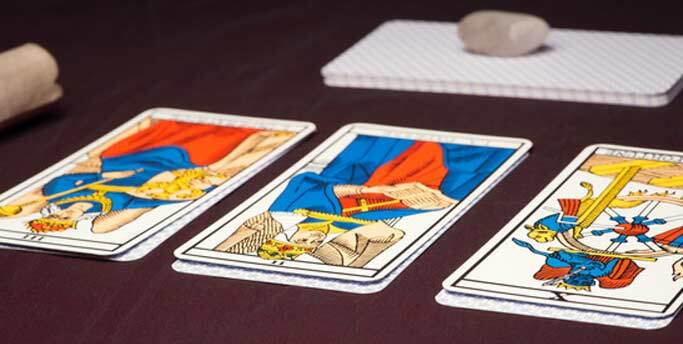 Learn how to use the Tarot and work to gain professional recognition as a Tarot Therapist.The Course takes place over one year, consisting of twelve days, each studying a different aspect and part of the Tarot. No prior knowledge or experience of the Tarot is required or assumed. The Course is suitable for those wishing to become professional Tarot Therapists with a view to beginning or developing their own Consultation practice. It is also suitable for those wishing to study the Tarot simply for pleasure, to further their existing esoteric knowledge or to study and develop themselves through this medium. It is not a Course for those wishing to learn ‘fortune-telling’. BOKKINGS NOW BEING TAKEN FOR COURSE BEGINNING MARCH 2019 !